High-impact polyethylene plastic that will stand up to tough farm use. 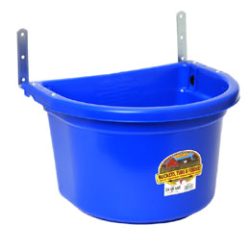 Feeders are portable and easy to install and clean. Complete with heavy gauge metal brackets for over-the-fence or on-the-wall installation.